If you are crossing a street or roadway outside a designated crosswalk, you are jaywalking. Pedestrians, just like everyone else accessing a road, including bikes and motor vehicles, must observe traffic safety laws. Jaywalking is against the law. That being said, if you have been injured as a jaywalking pedestrian, this does not automatically mean you are liable for causing your injuries. 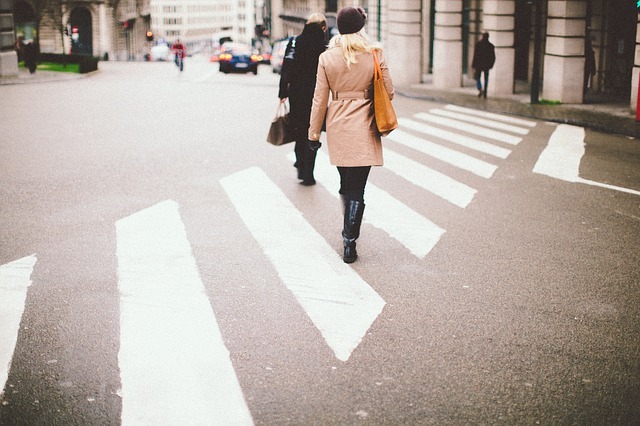 Determining fault in a jaywalking pedestrian accident can be difficult. Because the pedestrian crossed the road outside a designated crosswalk, California courts assign the pedestrian a “rebuttable presumption” of negligence. This means that the pedestrian is negligent unless he or she can show that jaywalking was not a violation of every pedestrian and motorists duty of care under the specific circumstances. If the pedestrian cannot prove that circumstances merited jaywalking and that they were still taking due care to keep themselves and others on the road safe, then the pedestrian will be found negligent and, therefore, will be held totally or partially liable for injuries incurred due to the accident. Again, a jaywalking pedestrian will not be automatically found liable for injuries. Pedestrian and motorists must all exercise caution on the road. A driver may also have been violating the law at the time of the accident. They may have been driving while distracted or speeding. This could put the motorists at total or partial fault for causing the accident. There is also the idea that even though the pedestrian did not have the right of way, because they were jaywalking, it does not mean that the car should not have taken reasonable steps to avoid hitting the pedestrian. California has adopted comparative negligence law in approaching accident situations where more than one party is liable for damages. More specifically, California follows “pure comparative negligence.” This means that the court will determine who was liable for causing an accident. They will then determine the percentage of fault each party had in causing the accident. All at fault parties may still recover damages, but the damage award will be reduced by the party’s percentage of fault. This means that, if you are awarded $100,000 in damages, but you were found to be 40 percent at fault for causing an accident, you will receive $60,000 of your damage award. It also means you will most likely be on the hook for paying a portion of the damages incurred by the other parties. These damages are usually paid for by your auto insurance carrier, depending on your coverage. Liability in causing an accident is oftentimes not a clear cut analysis. There can be many factors that go into an accident happening. Pedestrians violating traffic safety laws are not always responsible for causing an accident. If you have been injured in a pedestrian crash, our dedicated personal injury attorneys are here to help resolve these complex legal issues. We will uncover and analyze specific details of the accident and advocate for your right to receive compensation for your injuries and other losses. Contact us today. Who is Liable for a Slip and Fall in a Parking Lot?